As the mother of two children, we listen to a lot of kids music in the car. I will be the first to admit, I am a bit lost in the world of adult music. Lee who won American Idol?! Seriously, I stopped watching that when I left teaching and did not have to be up to date with my students on the latest hoopla. We love music. Whether to have on while riding near and far or to have on while playing, to dance or be silly with it is crucial for kids. My boys are both music critics and definitely have favorites. Listening to the same old CD’s over and over again can drive me a little batty. 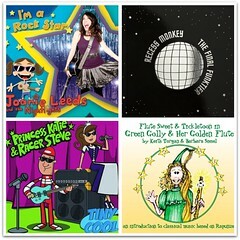 Lucky for me, I was recently asked to review four new CDs of music for kids. Pay attention because a giveaway will follow! If you have never heard of Joanie Leeds, please kick yourself really hard. . . . I know TechyDad and I did. 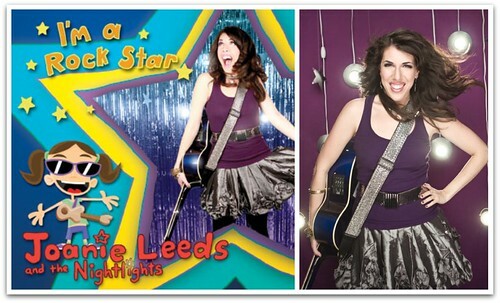 Joanie Leeds was new to us, but I’m a Rock Star is her fourth CD. Within minutes of putting on her music, we were all singing and laughing along with the catchy, witty and unique mix of songs. In 2008, Joanie won the Parents’ Choice Award for her debut children’s album, City Kid. To follow this up, Joanie created I’m a Rock Star which includes musical genres that range from Indie and classic rock, hip-hop, folk, jazz, R&B to cartoon. We absolutely loved this CD. The boys would request specific songs and listen to it over and over. Thanks to the variety of songs, fun lyrics and humor, we did not object. NHL (6) said his favorite is every song on the CD. Of course, I think he asks for More Cowbell, It Was The Elf and Joanie Says more than some of the others. JSL (3) seems to be partial to Sunglasses (with his on of course) and Popcorn. Not sure if I could pick a favorite. I will say that I could appreciate the sheet inside for En Espanol. As someone who learned French in school, I had NO clue what Joanie was singing. Luckily, the words and explanation are right in the booklet. Thanks to our love for this, I am going to look into ordering more of Joanie’s CDs including City Kid and Challah, Challah (Jewish songs – will be perfect for my family). I’m a Rock Star is available on Joanie’s website for $15.00. Fasten your seat belts, get your space gear and hold on tight for your adventure with Recess Monkey starting June 15th. Jack Forman, Daron Henry, and Andrew Holloway are three Seattle teachers that together make Recess Monkey. 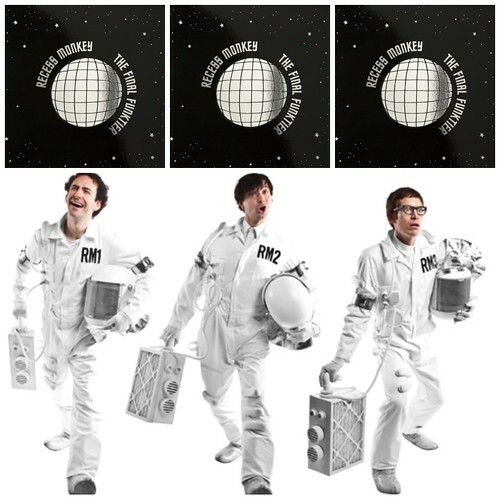 Geeks unite, because this is a fun filled, high energy collection of science inspired songs. While listening, I fulled expected an episode of MythBusters for kids to begin. I really enjoyed the fun nature of this CD. It is very different than anything else that I have heard before. It made me think about the days of Bill Nye the Science Guy and putting it to a funky fresh, 2010 sound. As a teacher, I thought Science Fair was a really great song. It had fabulous ideas and expressed what a family has to do when making a project. Oy, I am bracing myself for that – it will be coming soon. Each song has a lesson included in them and with the fast tempo and catchy words will work well with older elementary children and beyond. Another song that really caught my attention was One Tiny Light because it was so different than the rest. It was calming, slow and showed another side of the Recess Monkey. I could see using this as part of a classroom activity in science and beyond. The Final Funkatier will be available June 15th for $15.00 and is the sixth CD from Recess Monkey. 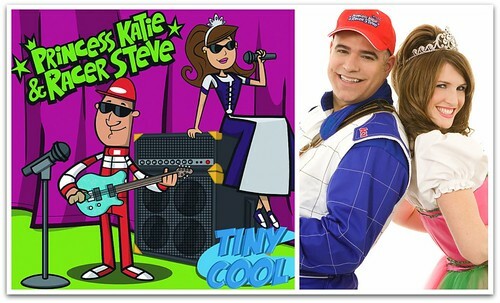 Now picture a beautiful princess belting out songs with a unique beat that are accompanied by an amazing race car driver inspired electric guitar player.This may sound like a bizarre combination, but it works perfectly for Princess Katie & Racer Steve. Together this duo creates a unique musical experience for kids of all ages. Their latest CD is filled with modern lyrics, fun music, comedy and has messages for kids about being honest, being yourself, accepting others, and being kind to others. Lots of messages packed into this CD. Straight from “The Kingdom” — where a feisty princess who’s inclined to rock out joins a local racecar driver who creates blazing guitar solos when he’s not blazing around the track — Princess Katie & Racer Steve bring their one-of-a-kind combination of drop-dead great singing, sterling musicianship, and sparkling, kid-oriented comedy to their third studio CD, Tiny Cool. Princess Katie (Katie O’Sullivan) is a strong, self-possessed, modern princess, who wears her gown and tiara as a work outfit, but kicks back in her jeans when work is done. Steve Borne’s real life hobby is racecars, and he’s performed in bands for many years, so the guitar-playing “Racer Steve” is a natural for him. I really connected to the song Shy. The lyrics are powerful. Letting kids know that it is ok to be shy, cautious and everyone will still love you that way. As a shy child, not everyone would let you know it was acceptable. I really liked that the CD focuses on different characteristics that kids have and focus positives on them. Shy along with Honest Kid and others will help parents and teachers to talk with their children about different attributes that children should strive for an know that it is ok to be themselves. Introducing children to classical music can be difficult. Thanks to Flute Sweet & Tickletoon (aka Keith Torgan & Barbara Siesel) this is a lots easier. Their new collaboration takes a twist on the story Rapunzel and puts it to classical music. Rapunzel may have been horrified to spend her days trapped in that big old tower but not Green Golly – she was delighted! So inspired by all that whizzed past her window she couldn’t help but make music. Herein lies the charm of “Green Golly & Her Golden Flute” – this funny and extraordinarily musical event, featuring the music of Mozart, Mendelssohn, Schubert, Gossec, Elgar, Bizet, Chopin and Copland, introduces children to the art of flute and the magic of classical music.“Green Golly” is also available in a version for flute, narrator and full orchestra. The first 12 tracks on this CD are the Story of Green Golly and Her Golden Flute as told by Keith Torgan & Barbara Siesel. After this is a collection of classics including Spring Song, Intermezzo Sinfonico, Flight of the Bumblebee, Two Guitars, Habanera, Duo, Gavotte, Minute Waltz and Salut D’Amour. The fun cast of characters and voices keep your attention. 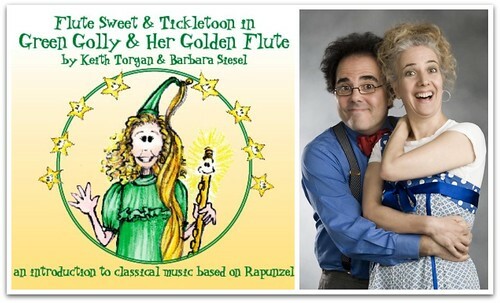 Green Golly is magically played by Barbara Siesel, who also is the musician behind the flute. Keith Torgan is the energetic storyteller and guitar player. They are joined by Jessica Krash on the piano. I really enjoyed how the CD is a story. It combines a fun new play on the traditional Rapunzel story and uses it to introduce listeners to musicians. As the story progresses Green Golly learns about different composers and you hear teasers of famous classical music. Even my three year old son, stopped and yelled "Mama – that Twinkle Twinkle!" Of course, when my older son was listening he wanted to know more. He had heard of some of these composers via Little Einsteins, but was curious about more. Once the story is finished, children can continue to listen to the beautiful arrangement of classical music. It was nice to have on at bedtime and when trying to have quiet play time. It was really nice how the story flowed immediately into this collection of music. This is a CD that will be heading with us into the car. I know the boys will love to hear the story over and over and perhaps the music will help them to play nicely – a girl can dream right?! Green Golly & Her Golden Flute can be purchased for $14.99 or $9.99 by downloading the album. Thanks to Waldmania, a lucky reader will be able to select one of the CDs that I reviewed for yourself. Bonus Entry – What was your favorite children’s CD (record/casette/8 track) from when you were a child? 1 Bonus Entry – Leave a comment on any of my non-giveaway posts from the month of May/June. Be sure to leave a comment here to let me know which one. This Bonus entry may be done only twice per person. To enter, please follow the rules above within the comment section. Contest starts today June 1st and ends at 10:59 EST on June 15, 2010. You do not have to be a blogger to enter, but must leave a valid e-mail address for me to contact you for mailing address once the giveaway is over. I will select the winner using random.org and contact you via e-mail. You will have 48 hours to claim the prize. If there is no response, another winner will be selected. Open to U.S. residents only. 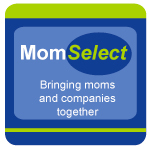 Disclosure: This review and giveaway was made possible by Waldmania!. They provided me with the four CDs to facilitate this review. The opinions of this review are mine and I received no other compensation. never heard of these. will have to find them i am sure the girls would love them. I would definately choose “I’m a Rockstar by Joanie Leeds and the Nightlights” because both of my daughters are Rockstars and they would LOVE this cd. Bonus entry: My favorite kids music was Raffi, loved all his songs! I would choose Tiny Cool-I like songs with a message for the kids! 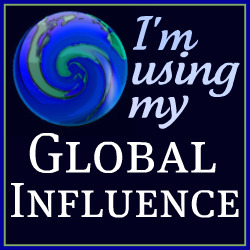 .-= Jill´s last blog ..Jesus Loves Me This I Know =-. I think my favorite was a Gem and the Holograms tape we had! As far back as I can remember anyway! Fun! I am so impressed with the variety and quality in children’s music these days. I would probably go with the recess monkeys because they are all guys and I have boys. .-= Holly at Tropic of Mom´s last blog ..The beach at twilight =-. I retweeted about your giveaway but don’t know how to link to a tweet! Duh! I have commented on your non-giveaway posts several times recently. The most recent was the shoe shopping post. Bonus entry: I am embarrassed to say, I had to check with my mother to see what I loved musically growing up (been that long). And, low and behold, Sesame Street was it!!! Now that I think about it, I LOVED Sesame Street music! When I was a kid I liked Peter, Paul and Mommy. I would get The Final Funktier because my geek husband has gotten my three boys hooked on science. Sounds like a fun collection of songs! .-= Gale´s last blog ..Get Your Order by Father’s Day & Save Money Too! =-. it only leads to worry. had to wait for you. (the whole post wasn’t about this…just some. I list low comment giveaways, and this one still counts! So, I’ll just take one extra entry for that). .-= Gale´s last blog ..Easy Wins – Low Comment Giveaways =-. I subscribe to your RSS feed. Sometimes, I even have time to read it! I left a comment on the picture comparing the boys. Can you believe our 3s are three? Thanks to everyone that entered the giveaway. The comments are now closed. The winner will be notified by e-mail shortly and announcement made here as well.